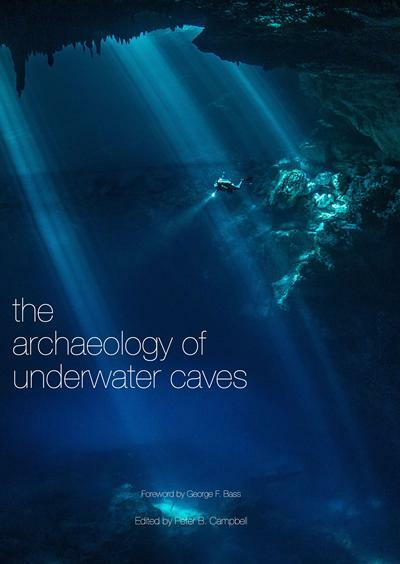 SMMI scholar, Peter Campbell is editor of the newly published book 'The Archaeology of Underwater Caves'. This is the first book to be published on the subject and includes chapters by pioneers such as Nic Flemming, Jean Clottes, Dan Lenihan and many others. This edited volume draws on the last sixty years of underwater cave research, the vast majority of which has never been published previously. The volume’s scope is international and spans the Paleolithic through the modern era. It will interest many archaeologists as it touches on human origins, sea level and climate change, ritual and religion, and subsistence in many different cultures. Fields outside archaeology, such as geology and paleo-environmental studies, will find aspects relevant to their research. Further details may be found here.